Summer’s familiar clear blue skies have turned turn angry and gray. Gentle southern winds have evolved into frigid northerly gales. Bright leaves of crimson and gold now hang perilously from branches, and yes, ice scrapers and snow brushes have become must-have equipment to support the morning commute. With all of its bawdiness and urgency, it’s obvious autumn has arrived. Within rapidly cooling waters, primal forces drive walleyes into a fall feeding rampage. 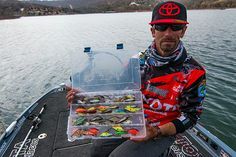 Bundled against the elements, anglers cast, jig, troll and drift with live baits and artificial lures, ready to do battle with biggest, baddest, and smartest fish of the season. Go big or go home. 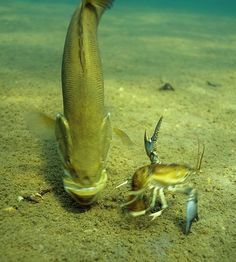 A classic fall technique for over-sized daytime walleyes is to fish over-sized live baits along deep structure. This is a tried-and-true midday method on classic walleye waters and frequently works best after the fall turnover has occurred. Look for sharp breaklines leading into deep water, deep saddles between points, or offshore humps that top out at 20-30 feet deep. Gear up with 8 lb test fluorocarbon as your main line. A soft, supple fluorocarbon loads on the spool beautifully, and because of its low memory, will not flop off in stiff coils when you’re feeding line to a fish. I use a 6-foot leader of fluorocarbon on the business end of the rig; AbrazX from Seaguar is my recommendation because it offers double the abrasion resistance of other fluorocarbon lines, and guards against nicks and scrapes from rocks, Zebra mussels, and walleye teeth. Large river systems, like the Mississippi AND Missouri, that are famous for pre-spawn walleye action, also host an outstanding, albeit less-pressured, fall walleye bite. With many outdoor enthusiasts trading their walleye boat for a deer stand or a duck blind, fall fishing offers an excellent opportunity to tangle with a true river monster, but without the crowds of spring. Vertical jigging with soft baits is a technique that river rats have had in their back pockets for years, one that is now entering mainstream walleye consciousness. Tie on a 3/8 oz jig head equipped with a wire bait keeper, and dress that jig with a 3-4” soft bait. I like the Z-Man MinnowZ in a bright color pattern to offset the turbid waters of fall. 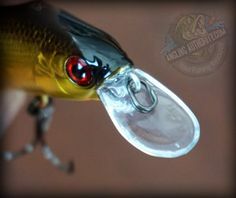 An exceptionally robust bait like the MinnowZ combats the tendency of short-striking walleyes and sauger, allowing the cold-water angler to catch large numbers of toothy fish on a single bait. I prefer to jig soft plastics with 20 lb test braid as my main line. I tend to use Seaguar because it is an ultra-thin 8-strand braid, 20 lb test Smackdown has the same diameter as 6 lb test mono, which means that it cuts fall river current better and provides enhanced lure control. I use a 24” leader of Seaguar AbrazX 100% fluorocarbon to maintain excellent feel and high sensitivity, while dramatically reducing line visibility at the lure. Arguably the best walleye trolling bait of all time in my opinion, the LIVETARGET’ Rainbow Smelt Banana Bait Deep Dive yields a “thump” like none other. Vertical jig with soft plastics using a short, stout and sensitive rod: I prefer the Eyecon (ECS63MXF) rod. Keep in mind the “less is more” approach when vertical jigging with soft baits: the less you move the bait, the more fish you’ll catch. 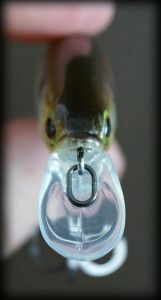 Let the current do the work; hover the bait 3-6” above the bottom as you slip downstream with the flow, and enjoy the results of this emerging technique for river walleye and sauger. Spring walleye fishing gets all the press, but the fall bite is truly the most enjoyable time of the year to chase ol’ marble-eyes. Pleasant weather, technicolor shorelines, campfire smoke drifting through the air, and big walleyes on the line all go hand-in-hand as nature prepares for a long winter’s nap. 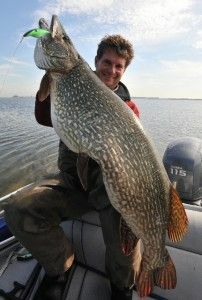 Dr. Jason Halfen owns and operates “The Technological Angler” (www.thetechnologicalangler.com), a media company dedicated to helping anglers learn to use their onboard technology to find and catch more fish. 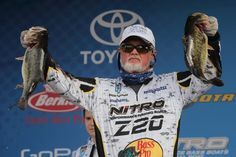 Their first full-length instructional video production, “The Technological Angler, Volume 1: Success with Side Imaging”, was the winner of the 2014 AGLOW awards-in-craft competition in the TV-fishing division. "The Technological Angler, Volume 2: Integrated Technology" teaches anglers to harness the power of 2D sonar, Side Imaging, Down Imaging, 360 Imaging and the i-Pilot Link system, to find and catch more fish.